Today I have a guest post up at another Disney blog, Inspired by Dis. 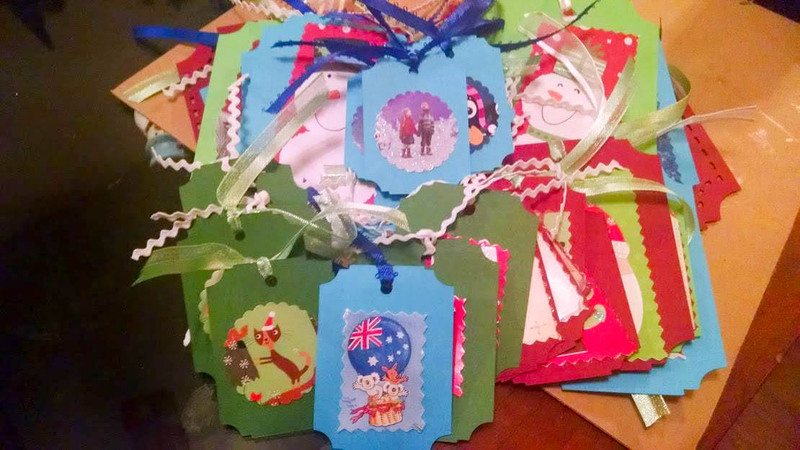 Over there you can read all about how I upcycled my old Christmas cards to turn them into gift tags to use for next year. 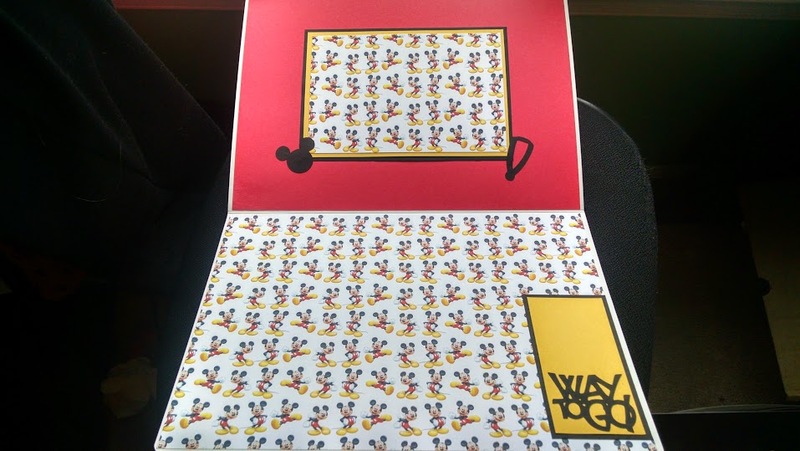 There are even some Disney ones thanks to the people that sent out Disney Christmas cards! To my friends and family, expect to see some of these tags on your gifts next year! Read about how to do it here! 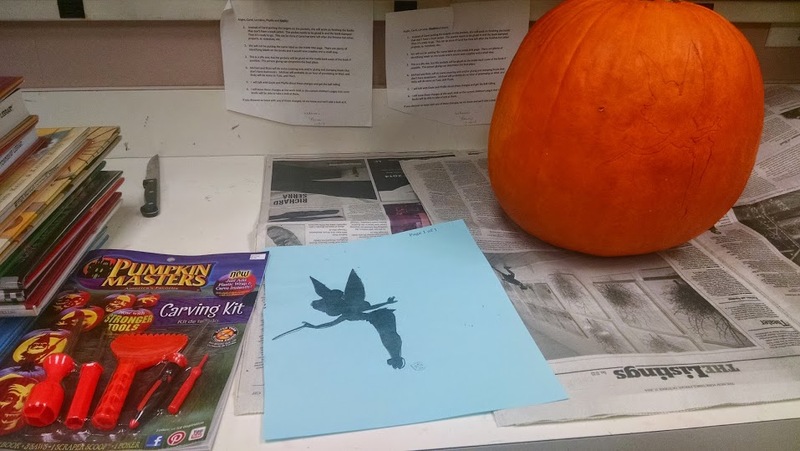 At my place of work, we had to carve a pumpkin – and we decided to do Tinkerbell! I’m super pleased with how it came out, and I wanted to share with you just how we did it. We followed some of the instructions from this website, which I highly recommend you check out. In honor of the Princess half marathon weekend (I completed the 10k! ), I thought I’d share a running related craft with you all. 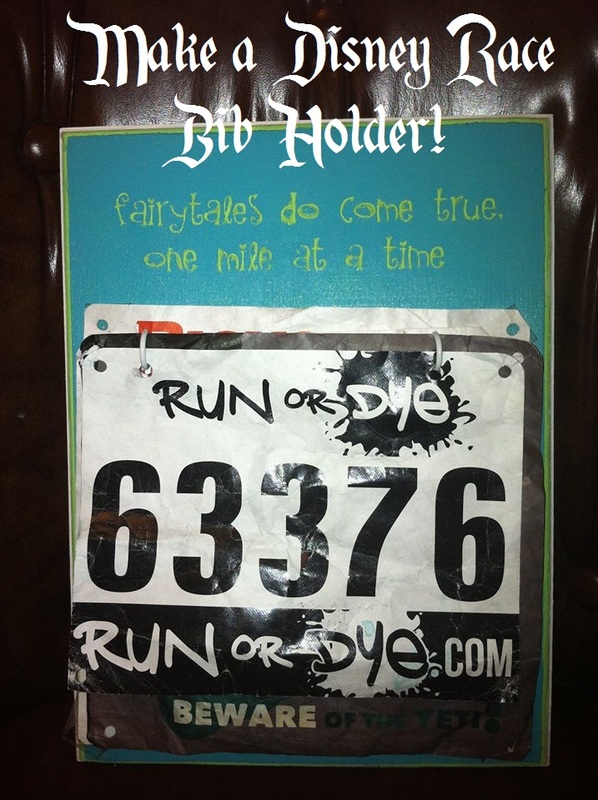 My friend Megan from over at Mouse Ears and Me decided we should make race bib holders one time when I went to visit her to do a 5k. It’s a really great way to display your race bibs without taking up too much space. 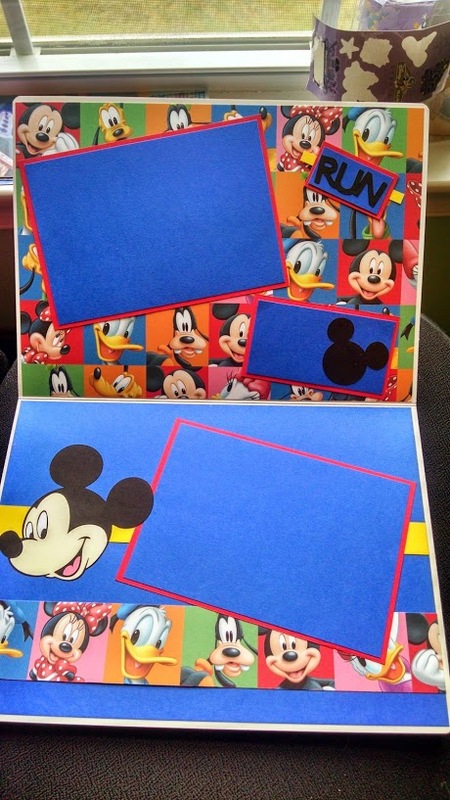 Though this craft isn’t necessarily Disney related, it can be if you use it to display your Run Disney bibs or if you put a Disney quote or picture on it! 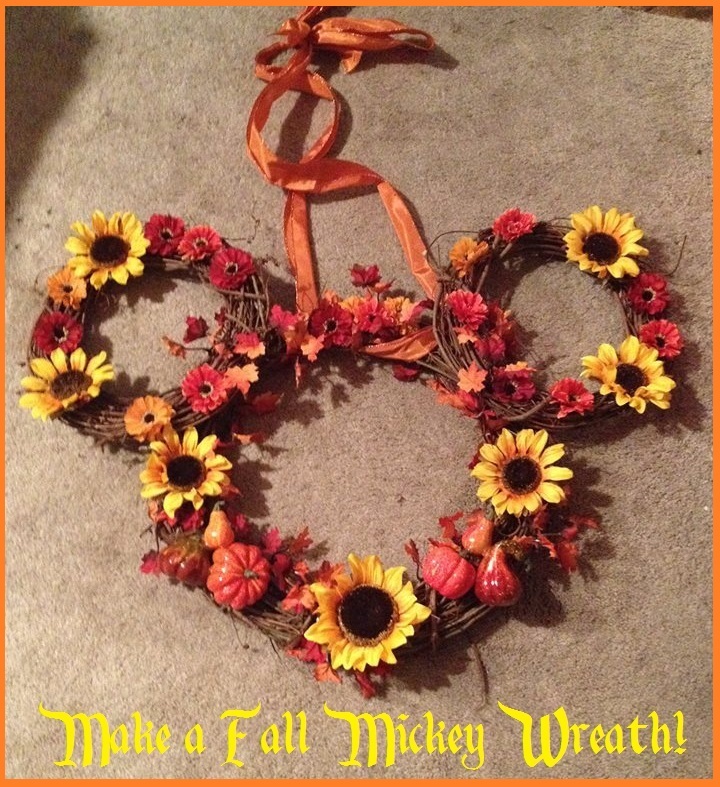 Please welcome guest blogger Michelle Ortiz, who shares how she created her very own Fall Mickey wreath! I was inspired by a fellow Disney fan who had a simple Mickey and Minnie on her garage doors and posted the pictures on Facebook. I had no idea how she did it, but I knew the look I was going for. My husband and I bought our house a year ago, and haven’t had a lot of time, or money for decorating for various seasons…so I have been trying to do a few DIY projects to help us look like we live there! So I thought of this project for our door wreath, and it would be good for Fall, Halloween (if I didn’t have time to do a different one) and Thanksgiving…so basically, I was set until Christmas if I didn’t have time for another one. My husband I recently celebrated our 2nd wedding anniversary. I had already bought him a few things, but I decided I’d like to make something too. 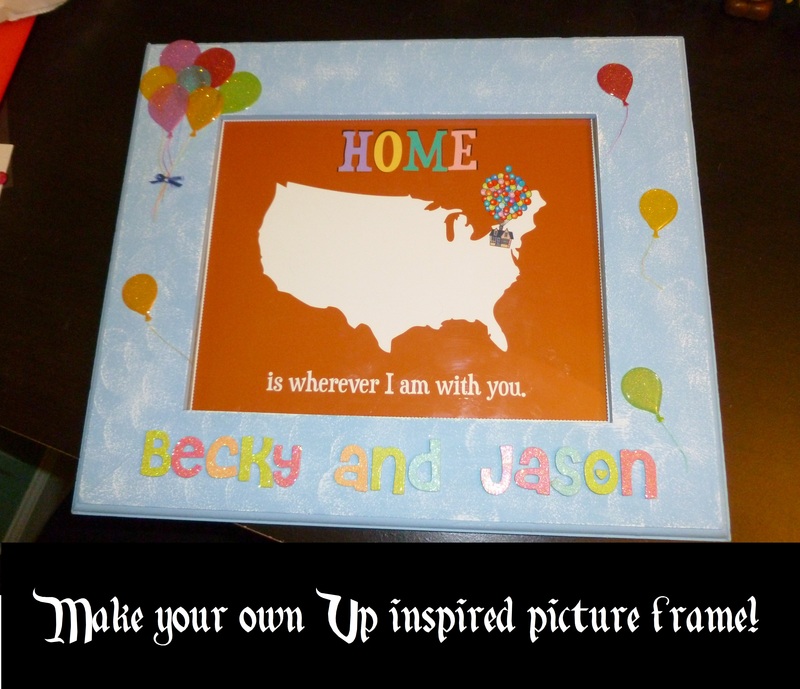 I searched around for ideas and I came across a cute printable on Etsy from Wish Upon a Star that featured a map of the US with the Up house over the location where you live. Since we had just moved into a new house I thought this would be the perfect present for my husband! I bought that and then decided to make my own Up themed picture frame to go with it. 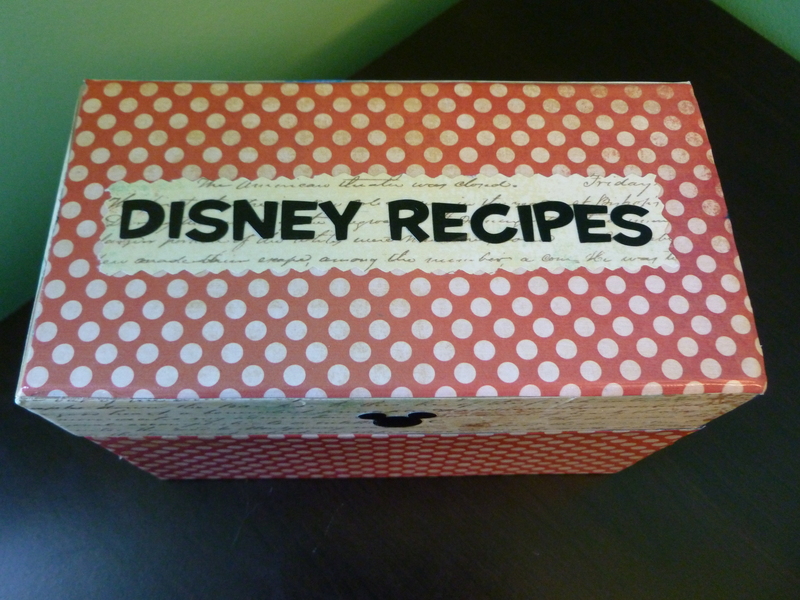 I don’t know about you, but I love to collect Disney park recipes to try and replicate my favorite food and drink from the parks. I’ve already posted the recipe for 1900 Park Fare’s Strawberry Soup and Wild Africa Trek’s Curried Chicken Salad. 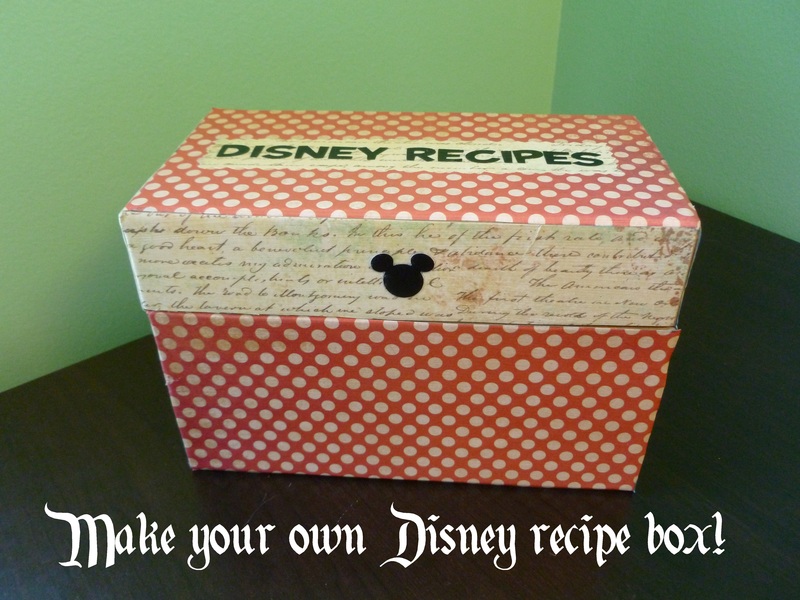 I put all of my recipes onto cards, and then decided I needed a recipe box – so I set forth to make one! 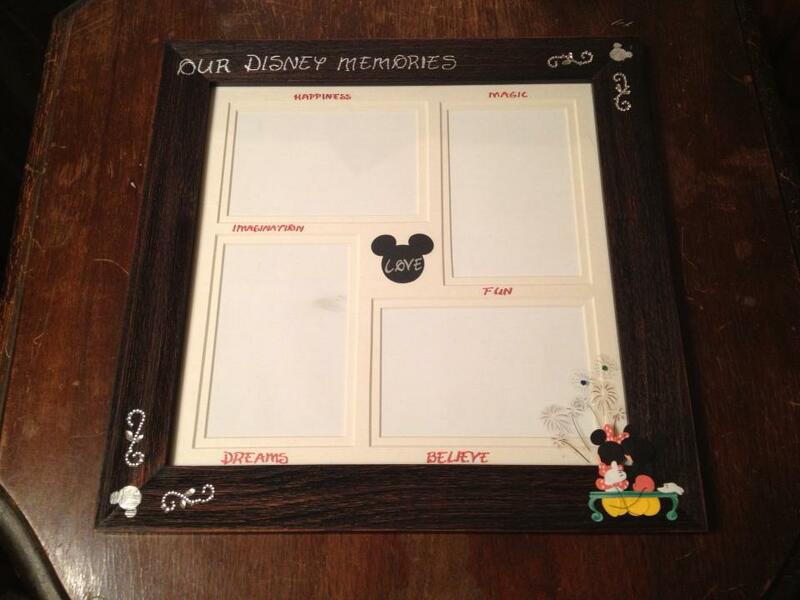 Crafty Corner: how to make an awesome Disney picture frame! 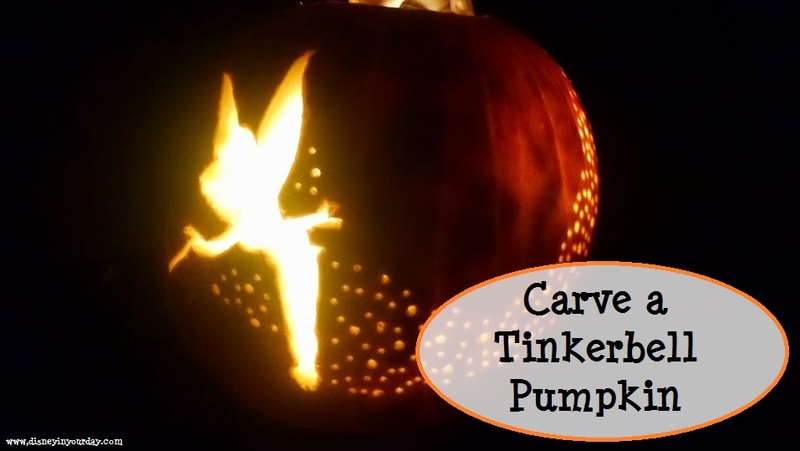 Please welcome Jenn Rosseter, guest blogger and very talented DIY-er! Today she has a tutorial for us about how she created her own unique Disney picture frame. I adore what she created, and I hope you do too! So you want to make an awesome Disney frame, huh? With a little imagination and a few craft supplies I can show you how to make your very own Disney frame to put your favorite Disney memories in!